Document for Excellent Firefighter badge. Document for Excellent Firefighter badge. Awarded on 16 April 1963 to Jr. Sgt. Georgiy Chikurashvili. 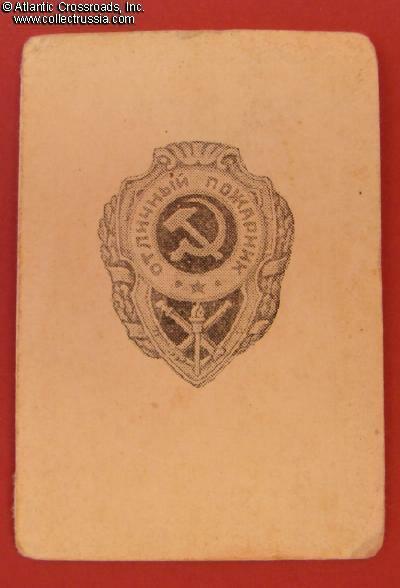 The document is a 2 ¾" x 4" paper booklet with the nice depiction of the badge on the front cover. 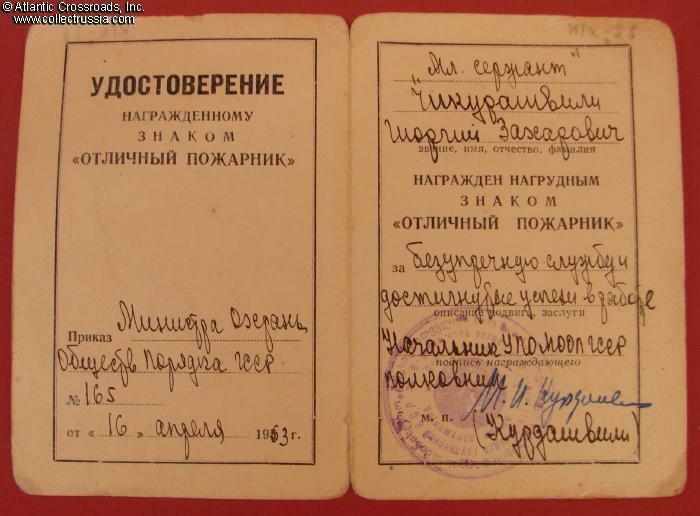 Issued by the Ministry of Protection of Public Order of the Soviet Republic of Georgia (the MOOPs in various Soviet republics temporarily replaced the all-union Ministry of the Interior for a brief period in the 60s). 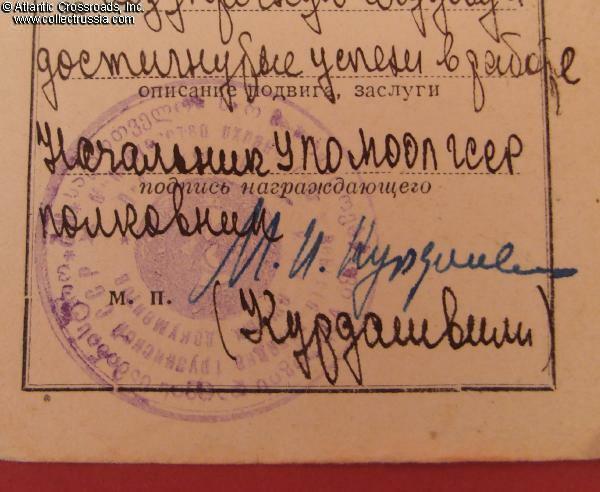 Shows citation "for irreproachable service and successes achieved in work", MOOP stamp and hand signature of the commander of the Fire Fighting Agency for the MOOP of Georgia. In excellent condition. Shows only very minor wear, still very clean, solid and completely legible.